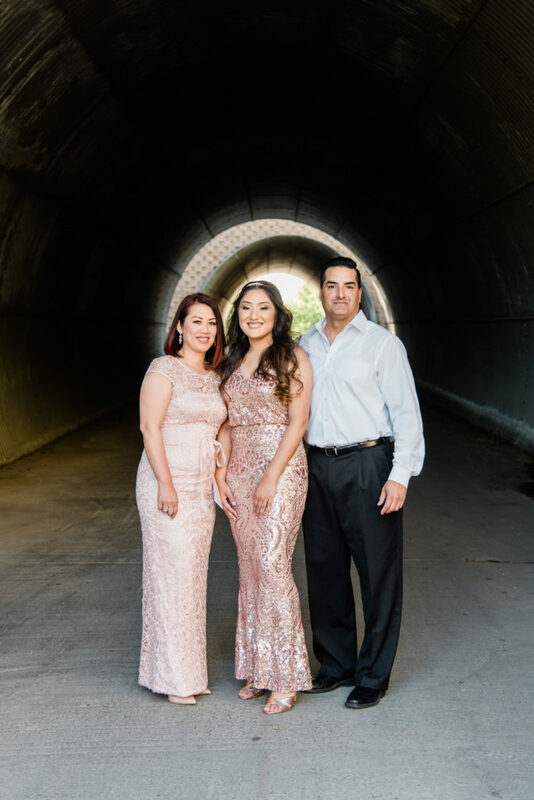 Kayla Montoya’s family threw her an elegant combination 18th Birthday Party and Graduation Party to celebrate the start of a new adventure in her life! 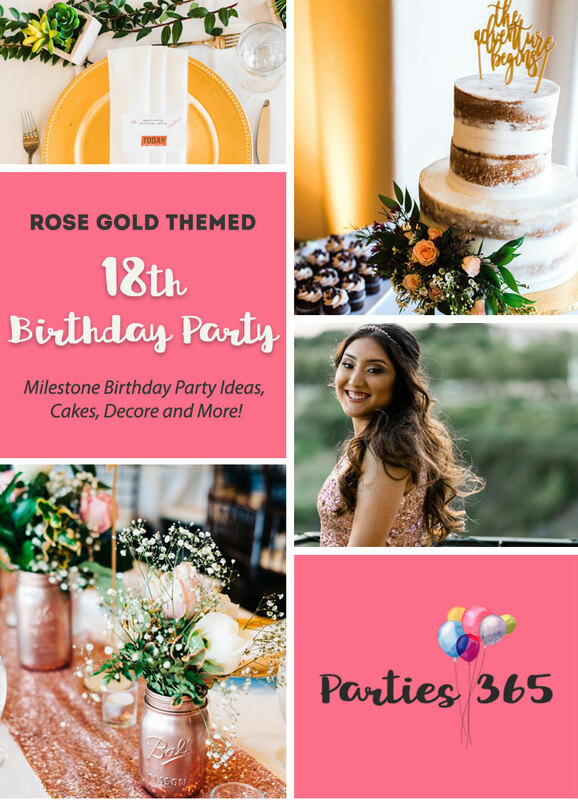 Her rose gold party theme is stunning and would be perfect for any milestone party, anniversary party, wedding or baby shower too! 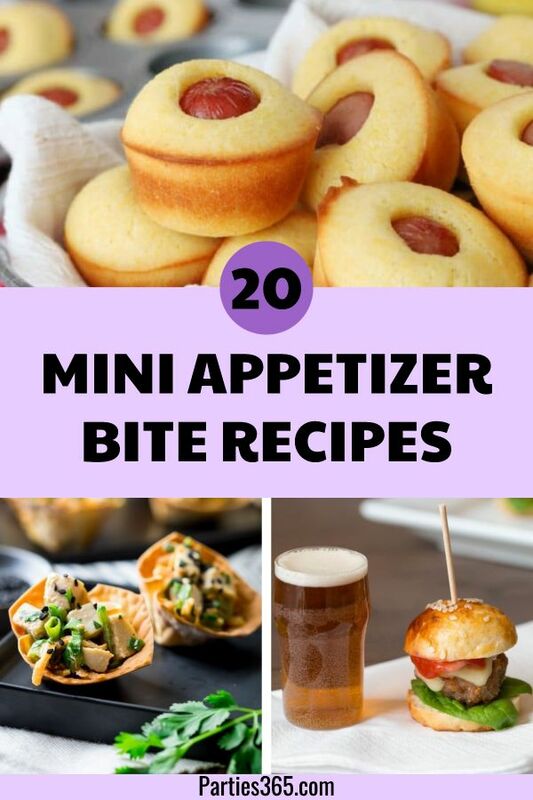 Join the celebration as you scroll through these gorgeous photos and gather inspiration for your next bash. 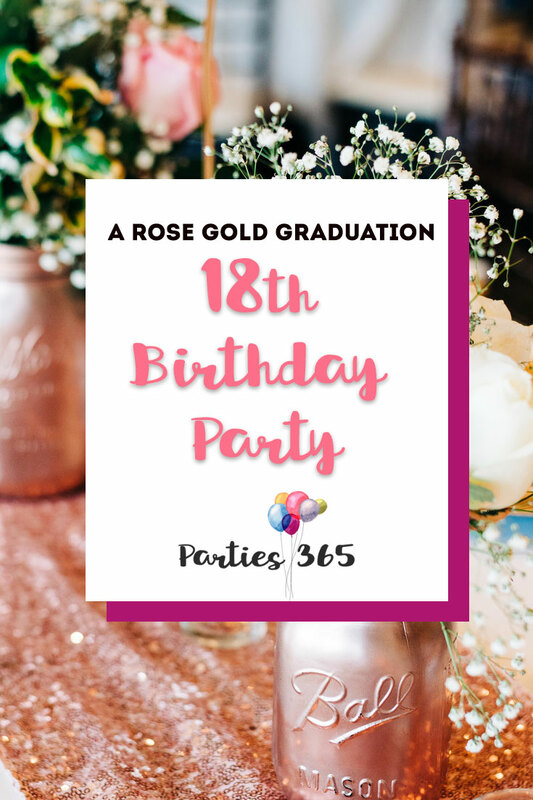 Kayla’s 18th Birthday Party was held at a local wedding venue, Bridges Golf Course, which created a beautiful backdrop for all of her friends and family to gather and celebrate her special day. Dirt, Pearls, and Curls Photography caught some delightful photos of Kayla in her 18th Birthday Party outfit (which perfectly matches her rose gold theme). 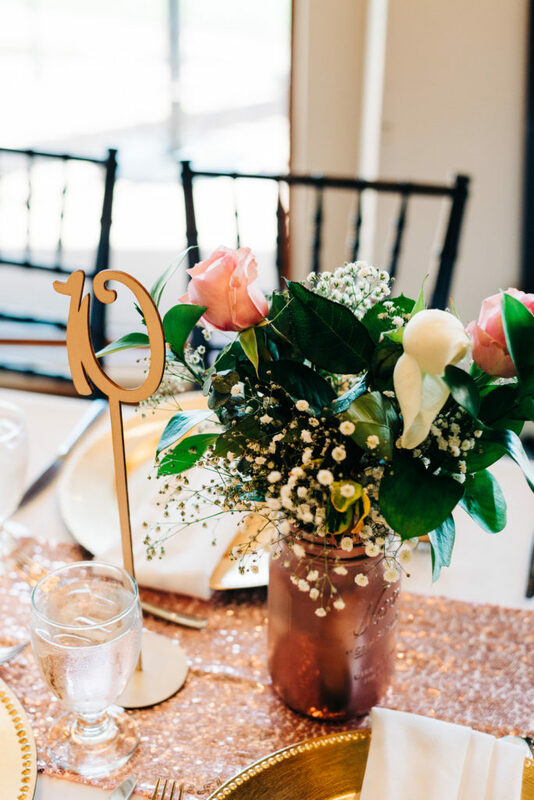 The party room was bright and cheery and tables were highlighted with a rose gold sequin table runner, shiny rose gold mason jars filled with lush white and light pink roses and adorned with candles. 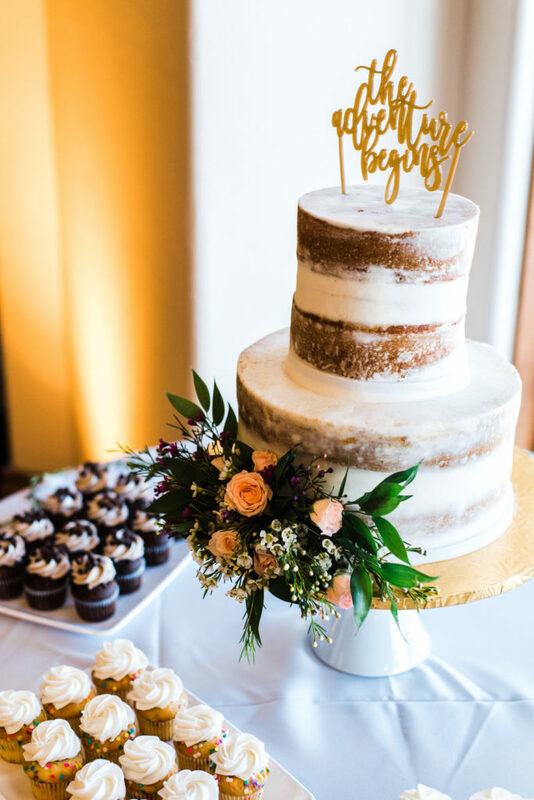 Guests were guided to their tables with elevated gold table numbers as well. 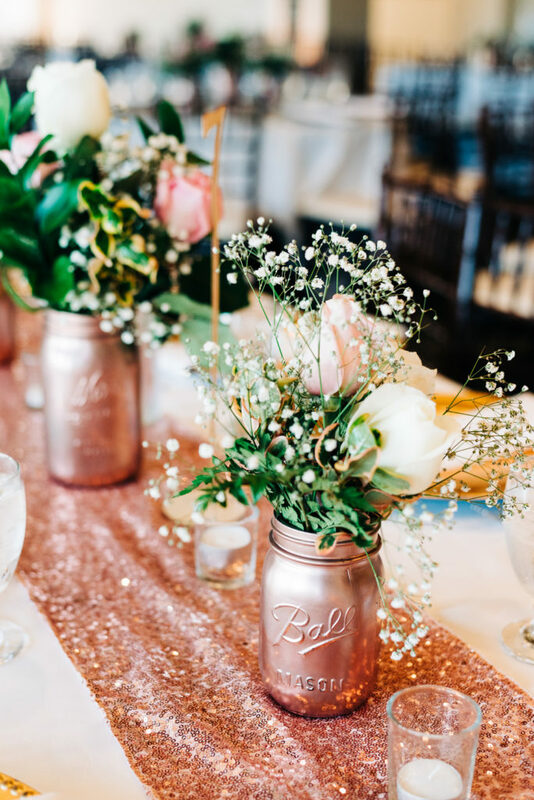 DIY Party Tip: To recreate this look at your next gathering, grab a rose gold sequin table runner and these rose gold mason jars or make your own with this rose gold spray paint. You could even get these Wooden Table Numbers and paint them to match your decor. 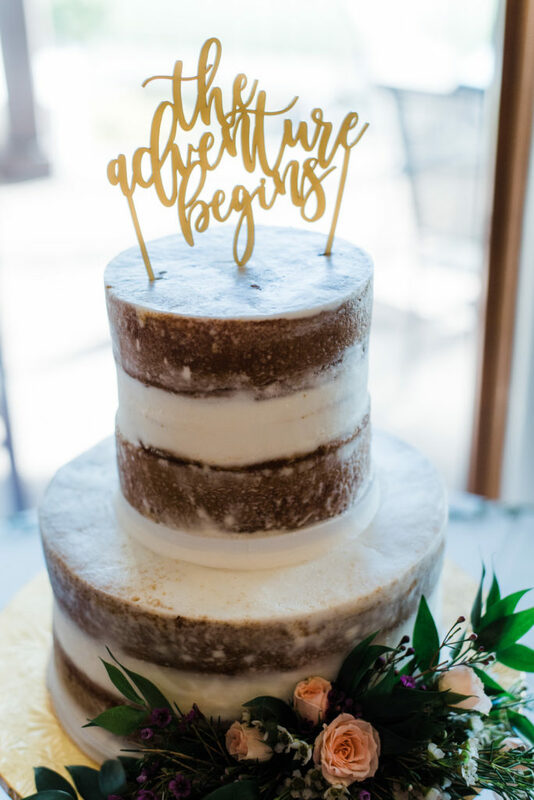 This 18th Birthday Cake, designed by Cake Delight, was a two-tiered naked cake dressed up with a bough of roses, flowers and greenery at the base and a script “The Adventure Begins” cake topper (grab your own gold “The Adventure Begins” cake topper here). 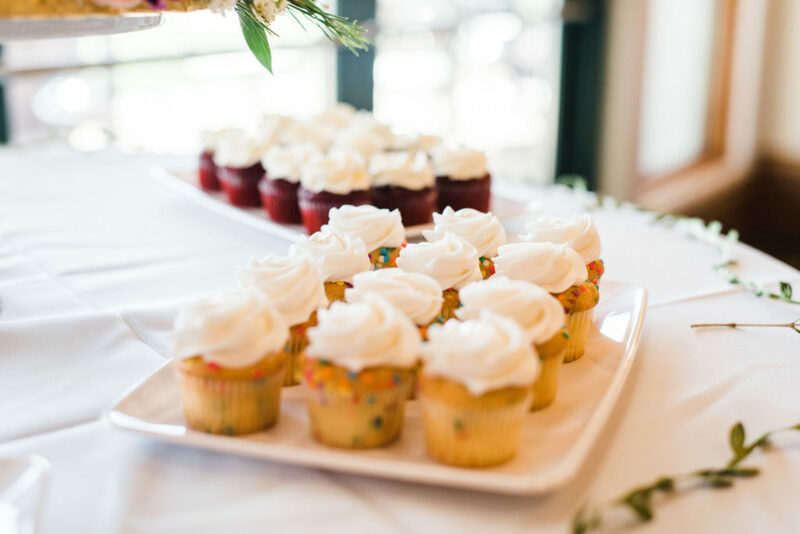 The dessert table also featured three types of cupcakes – chocolate, red velvet and confetti – which all look delicious! 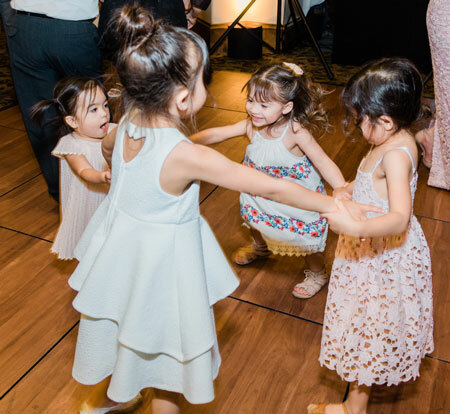 Guests enjoyed dancing the night away and you know the DJ is playing great tunes when the littlest guests can’t help but hit the dance floor! I adore this picture Dirt, Pearls, and Curls Photography caught of that smile flying through the air! 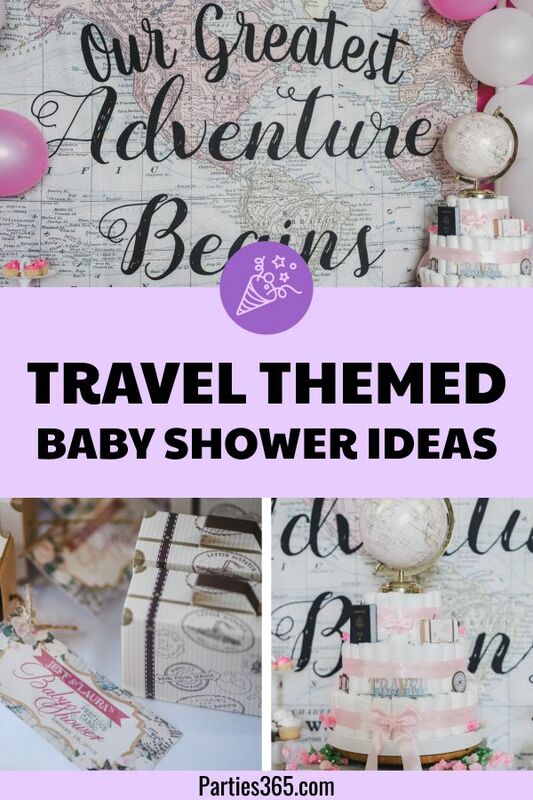 If you’re hosting a graduation party or a milestone birthday party, it make sense to plan a space where guests can drop off their gifts and cards. 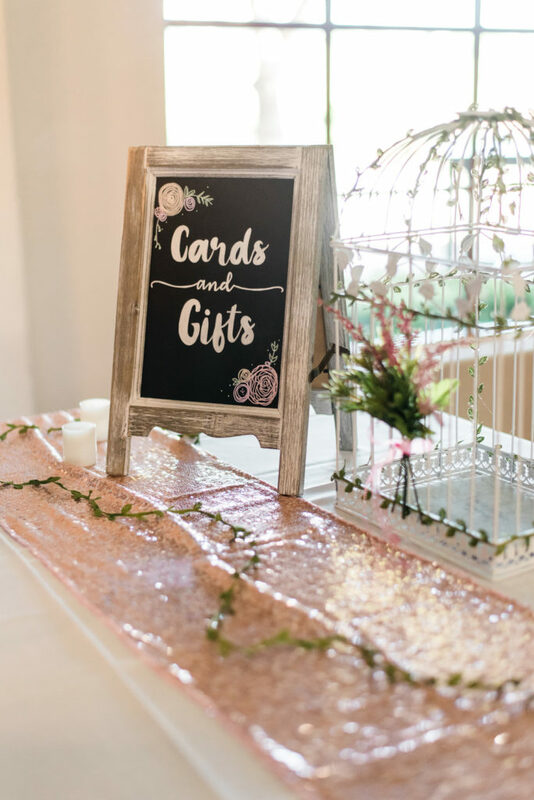 Kayla’s family set up a designated space using this rustic chalkboard sign and decorated bird cage where guests could easily slip their cards between the wires. 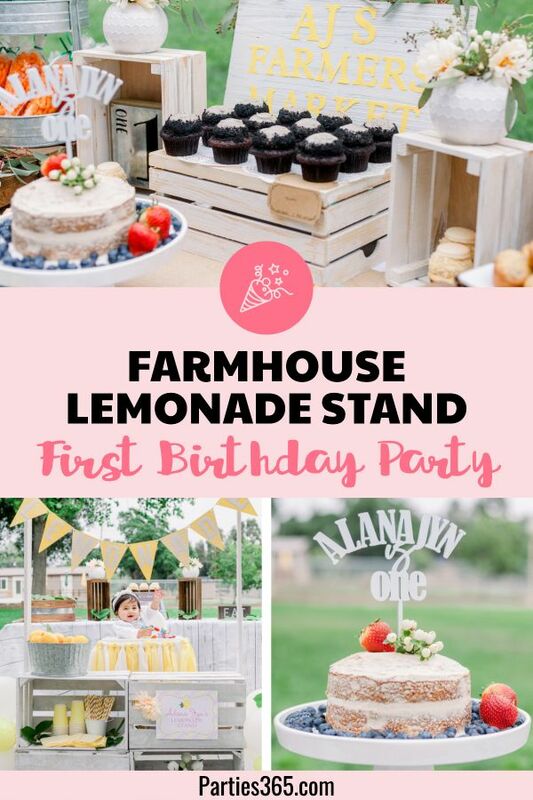 DIY Party Tip: Recreate this gift table at your event by using a similar wooden chalkboard sign and bird cage. 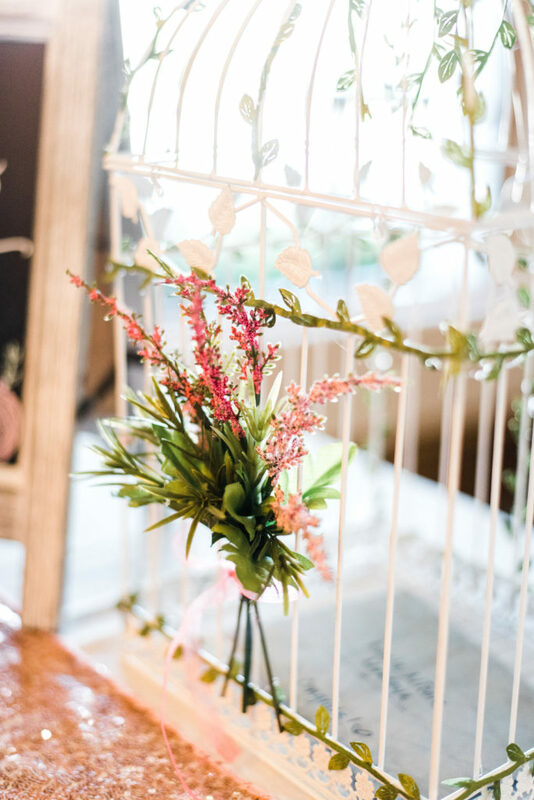 Weave in greenery and flowers that match your decor on the sign and bird cage to tie everything together. 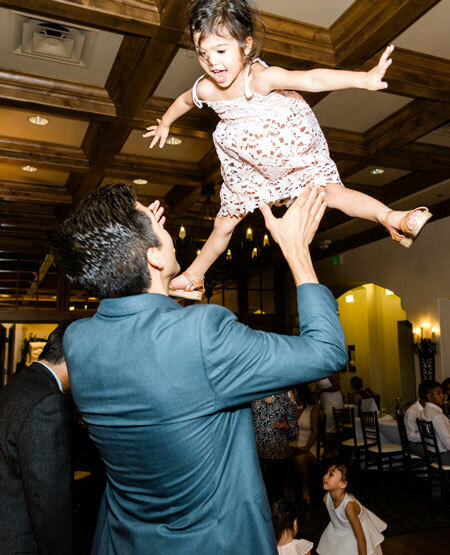 Personal touches and photos are a must at an event like an 18th Birthday Party! 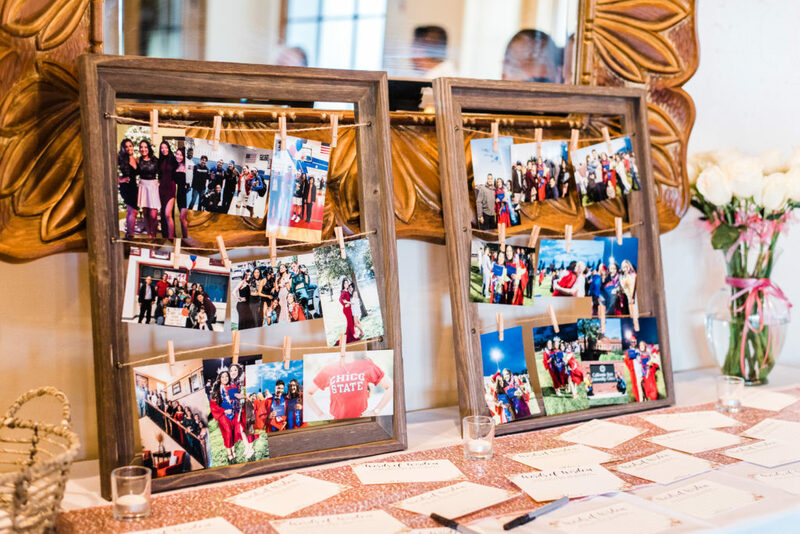 I love how her family chose to display a selection of photos on these wooden frames. 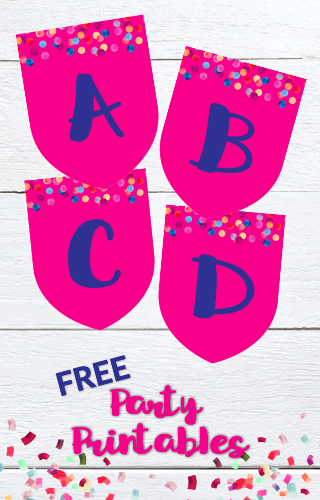 At the end of the day, the best part of a party is the time spent creating memories with your sweet friends and family… and it looks like Kayla’s 18th Birthday Party was the perfect place for her to do that! Thanks for sharing your Graduation Party with us Kayla and family! Congratulations and best wishes on your new adventure at Chico State!